Applicants need to meet the deadline of the respective Master’s or PhD programmes. Application forms for Master’s programmes can be found through the websites or Admissions Offices of the respective faculty or Graduate School. Application deadline for the scholarship is 22 February. 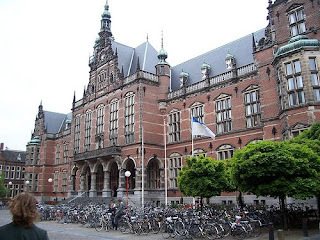 Applications for student scholarships can be submitted by students from one of the eligible countries for a Master’s or equivalent programme at the Universityof Groningen. 1. 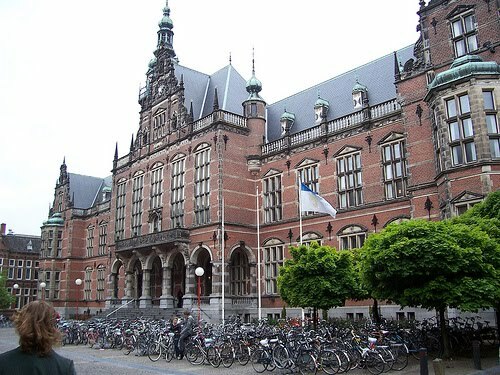 First the candidate should apply for admission to a study programme at theUniversity of Groningen . 3. If the study programme agrees with the candidacy for a EBF scholarship,they will send a standard application form including the motivation of the candidate to the Board of the Eric Bleumink Fund prior to 1 March. Per studyprogramme only two candidates can be nominated. Applications for PhD grants may only be submitted by individuals from developing countries if endorsed by a professor of the University of Groningenand with the support of their home institution / partner university. The application should contain an elaborated research proposal or pre-proposal. The application may also be submitted by the academic supervisor at theUniversity of Groningen or at the home institute in the developing country. The academic supervisor in Groningen participates in one of the Research Schoolsor Research Institutes of the University of Groningen . N.B. For the academic year 2011-2012 it is not possible to apply for a PhD grant. Website Eric Bleumink Fund. For detailed information regarding the scholarship programme, please contact the office of the Ubbo Emmius Fonds. E-mail:msd@rug.nl. Postal address: Eric Bleumink Fund, University of Groningen, P.O. Box 72, 9700 AB Groningen, The Netherlands. Demikian kami sampaikan tentang University of Groningen Talent Grant: Eric Bleumink Fund semoga informasi tentang University of Groningen Talent Grant: Eric Bleumink Fund ini bermanfaat.